In nine chapters divided into three parts ("basic issues"; "historical perspectives"; and "new perspectives"), Africa's most respected Catholic missiologist introduces mission and mission studies. 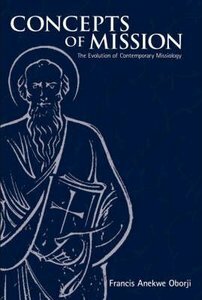 This is a book for theologians, missionaries, and church leaders who want a trustworthy overview of the fundamentals of mission from someone attuned to Catholic Conciliar and Post-Conciliar on mission. Oborji's book embodies the principles of Robert Schreiter's "new catholicity." It sheds light on how a faith that is missionary in nature can be faithful to the Catholic heritage's concern for unity while nurturing cross-fertilization from the many cultures in which it has grown and from the riches of other religious traditions among which it lives.